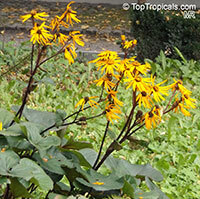 Ligularia is a perennial for moist soils. 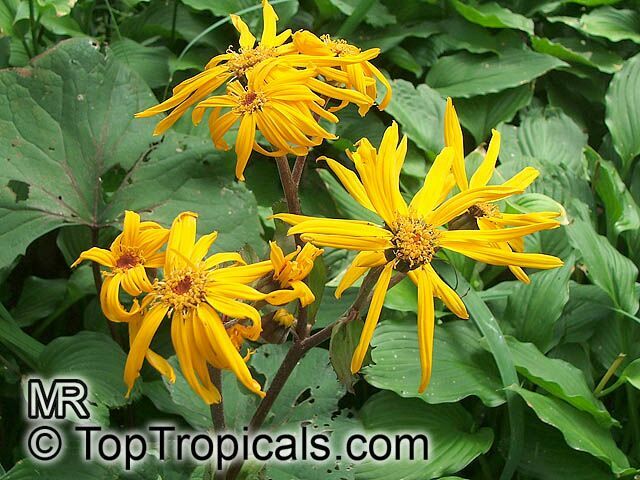 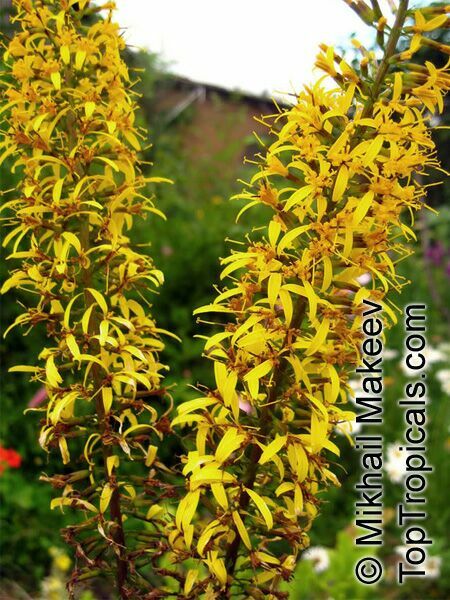 It has large leaves and spikes of yellow, daisylike flowers. 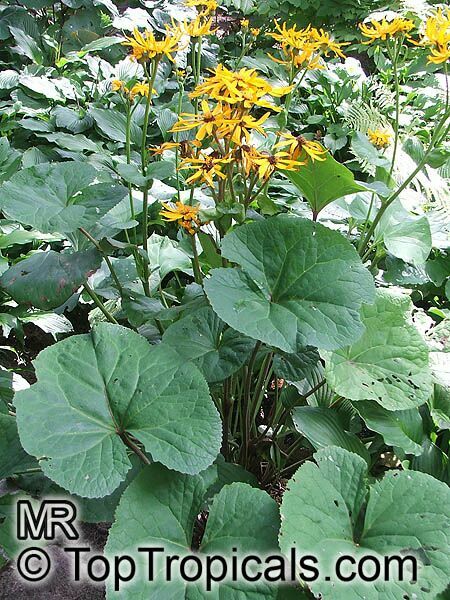 Most cultivars of leopard plant have shiny green leaves variegated with irregular creamy white or yellow markings. 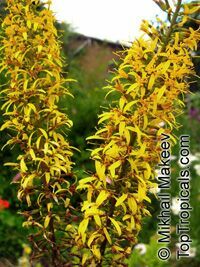 It is sometimes used as a dramatic ground cover along ponds or stream edges, and as an accent plant in moist, shady locations. 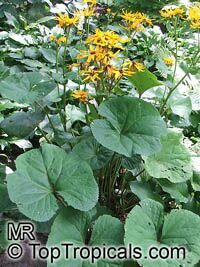 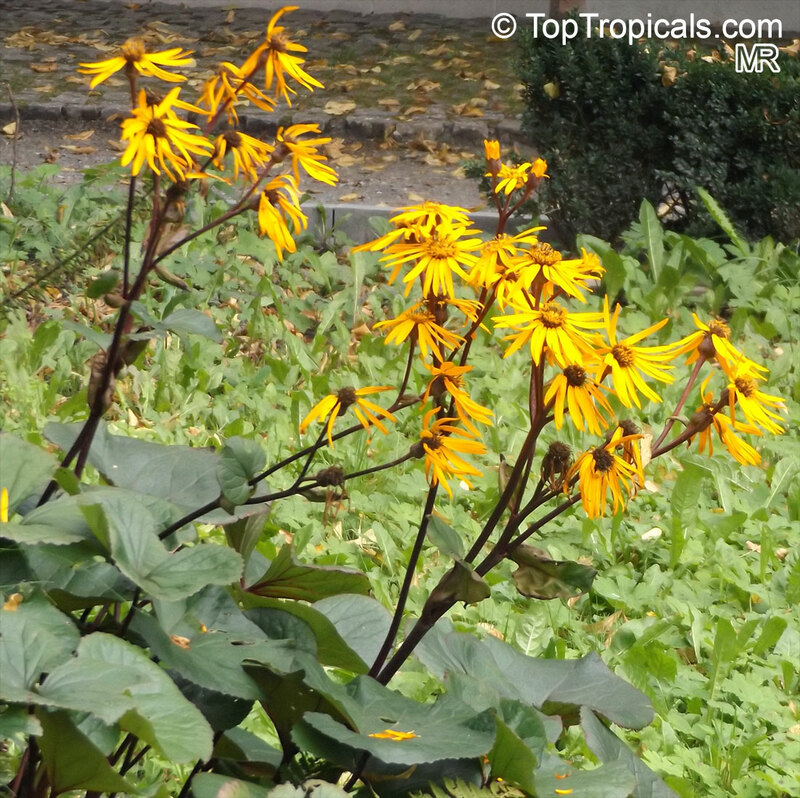 Leopard plant was formerly classified in the genus Ligularia, and has been known under many names, including Ligularia tussilaginea, L. kaempferi, L. japonica, Senecio kaempferi, Tussilago japonicum, and Farfugium grande.